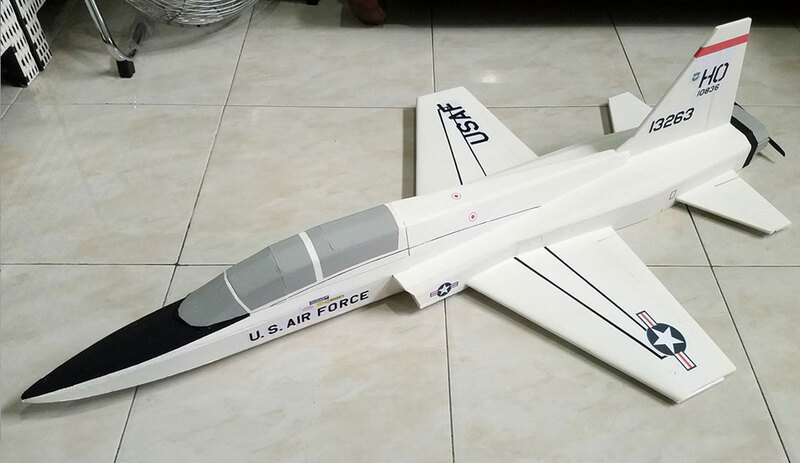 "The Early Days Obsession, A Reality Now"
Immediately after completion of the PI SU-30SM G3R design, we remembered that during the early phase of Parkflyers International establishment, we had an obsession to design the Northrop T-38 Talon. However at that time, we haven't got enough knowledge yet so we postponed it. After so much learning from one design to another, we finally felt that we need to give it a try to design the Talon. Good thing that one of us got the latest version of Rhinoceros (Rhino 6), so the design was much speedier than ever. Rhinoceros 6 allows to display ambient occlusion in real time in the viewport while we analyzed the surfaces and sheets. We had an ultimate goal for this T-38, which is it has to be very easy to construct, having less complexities compare to the SU-30SM and F/A-18, and also flies the way we want it to fly. 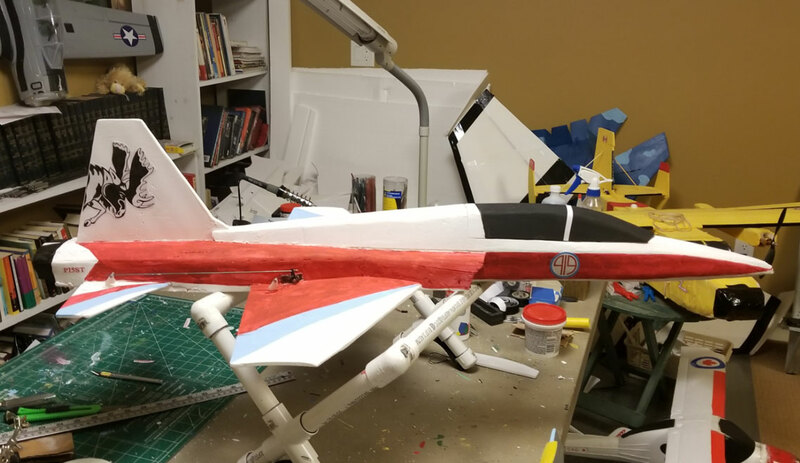 The major challenge was some feedbacks we received from some friends that already built the Talon based on other designer, that theirs were quite twitchy. 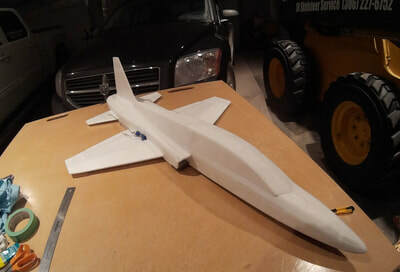 So, Ian came up with some ideas of undercamber wingtips as well as other mods with hope that our design will fly without any surprising things. 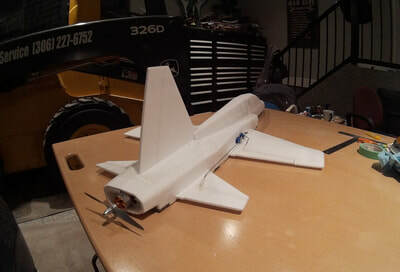 1st prototype was built by PI member, Jeff Reimer, in Saskatoon, Canada. Later on, he painted it just like the CF-5 Bullmoose. Ian had his completed too. Peter and Bimo were catching up. The maiden flight event, was totally satisfying. 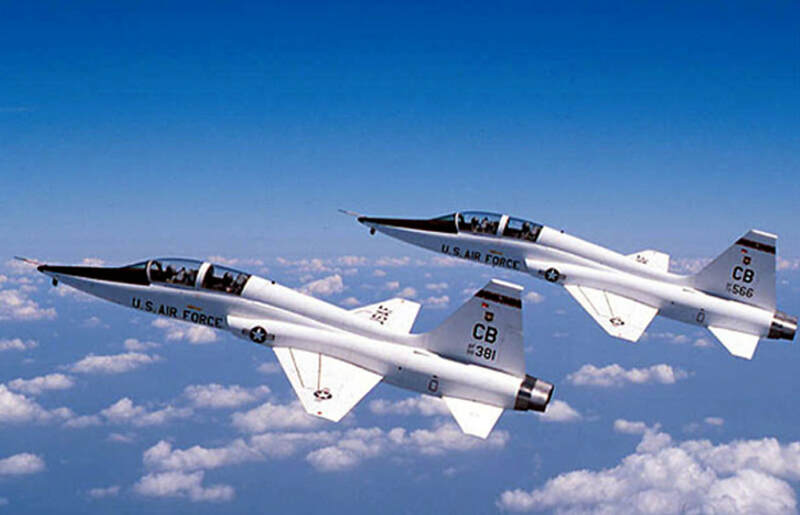 It flew smoothly and nicely once tossed it in the air, as well as very agile. The speed was incredibly fearsome. 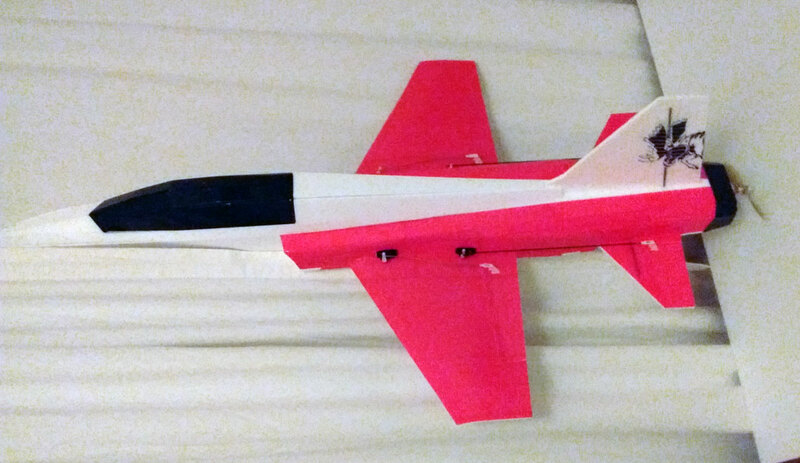 Having 700mm wingspan makes this parkjet to have 1200mm fuselage length. Turnigy 2826 2200KV as standard motor that will not break the budget and is still being able to fly fast. If you want to fly faster, a DYS BE2208-7 2600KV or Sunnysky X2208-7 2600KV II motor will give the most punch out of the power setup and still give exceptional flight time. An NTM Prop Drive 2700KV is good too. 1,800mah 3S 30C or 35C battery. The weight of this battery match the stock CG. It will give around 10 mins flight time as well on mix punches of throttle. A lighter 1,500mah 3S 30C battery will do good also. However, when you feel the need to balance the CG, you could strap a AAA battery next to the 1,500mah battery. A 2,200mah battery is acceptable. However, you need to place the heavier battery rearward to balance the CG, compares to the recommended 1,800mah one. Pitch setup is quite standard using 2 elevators with independent servos setup. For Banking, it is recommended to have elevons addition to ailerons in order to have high agility. 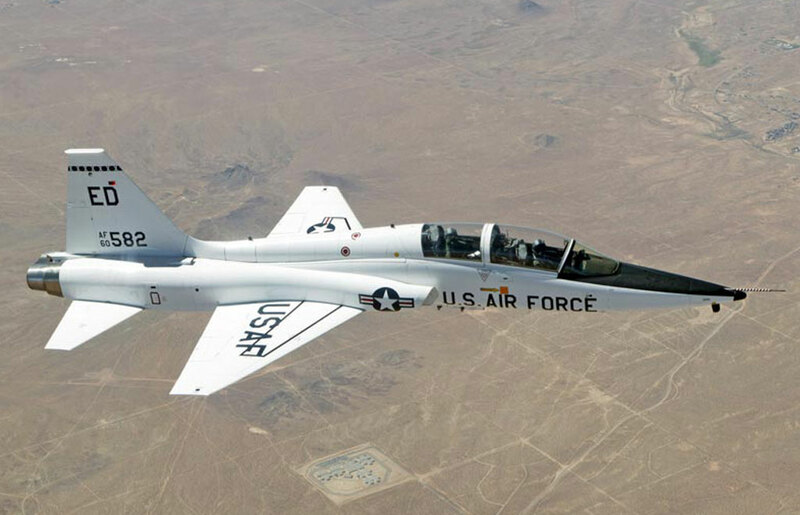 The T-38 Talon G1R is not just an easy plane to build. 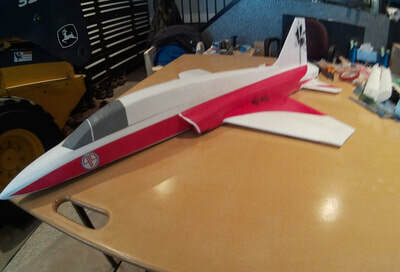 It delivers tons of fun and excitements flying it. At this point, we feel that the more we learn from one project, the more knowledge we could apply to the next ones. And this Talon project is a pure example that shows it. We couldn't do it 3 years ago with the criteria we applied to it. But now, with some help from our friends to, we could enjoy this hobby even more. 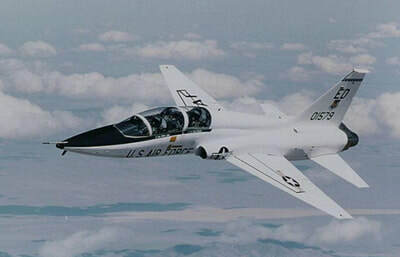 The T-38 Talon G1R Parkjet PDF plan in A0 untiled (best to use; printed on large format printer or from printshop) and A4 tiled plan (using normal home/office printer) paper sizes. 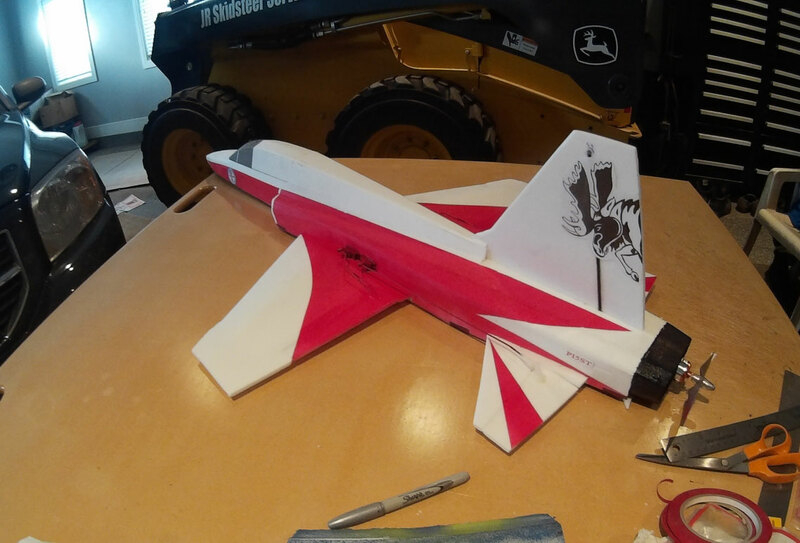 This T-38 Talon G1R Scratchbuilt is for experienced builders. 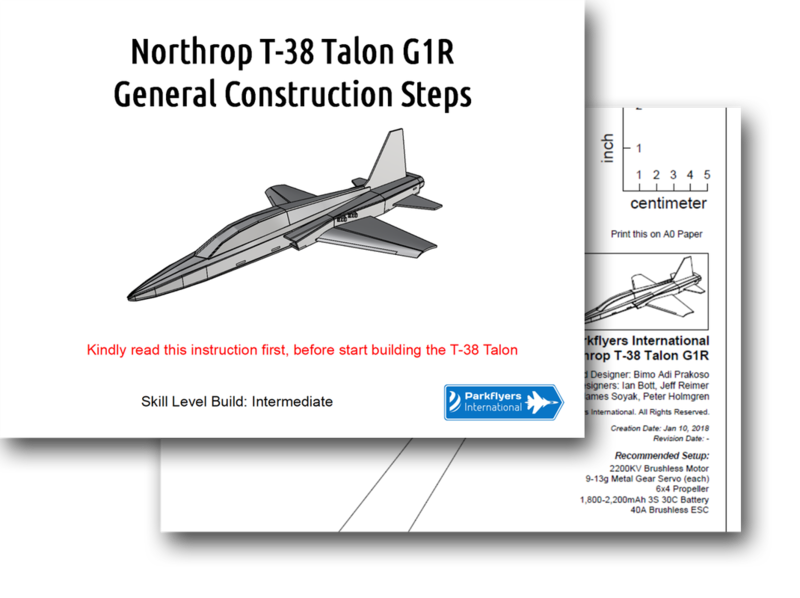 By clicking the DONATE button, you agree to donate USD 11.99 and receive the T-38 Talon G1R scratchbuilt plan.